Yesterday Samsung announced their first smartwatch that will come with Google’s wearable OS, the Samsung Gear Live, which is powered by Android Wear. The device has a similar design to the Samsung Gear 2, it features a 1.63 inch Super AMOLED display with a resolution of 320 x 320 pixels. This new Android Wear smartwatch is powered by a 1.2GHz processor and it also comes with 512MB of RAM and 4GB of included storage, have a look at the video of it in action below. 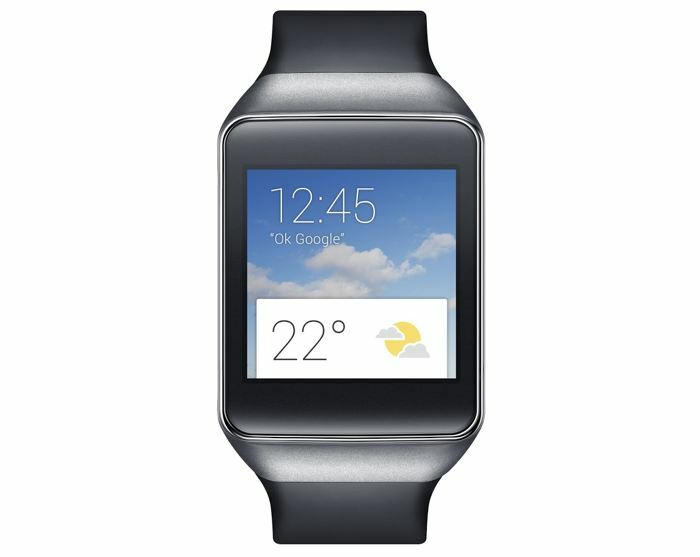 The Samsung Gear Live is equipped with a 300 mAh battery, it features a build in heart rate monitor, and comes with Google Now, Google Voice, Gmail, Hangouts and Google Maps. The Gear Live also features a changeable watch strap and it is available in two different colors black and Wine Red, the device retails for £169 and it is available direct from Google Play, Samsung have said that it will start shipping the device out to customers of the 7th of July. It certainly looks interesting from the video, the new LG G Watch also looks very interesting, and it is also available from Google Play for £159. The smartwatch we are most interested in seeing is the new Motorola Moto 360, we just saw a hands on video of the device, although it wont launch until later this summer.